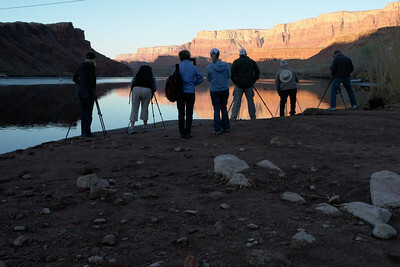 7 students, 1 instructor, and the most fabulous scenery imaginable for a photography workshop. 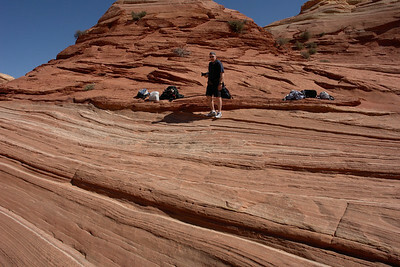 We were based out of Lee's Ferry Lodge at Vermilion Cliffs, AZ. 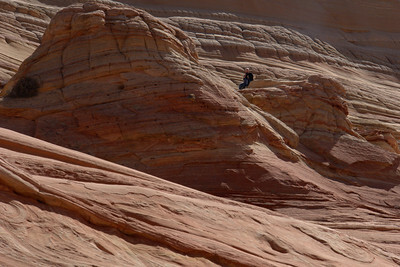 It is remote, but that's why we came here. 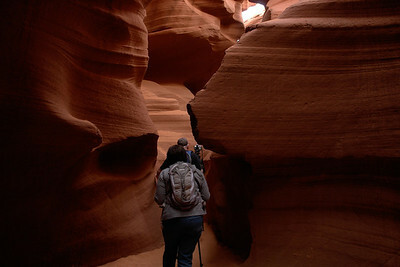 The workshop included both classroom work on photography skills, Photoshop, and Lightroom, and then there was the scenery. 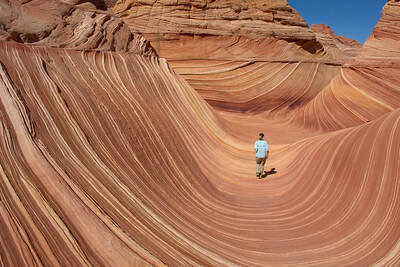 From early morning at the edge of the Colorado River at Lee's Ferry to the fantastic and amazing formation of The Wave, shutters were being snapped nearly continuously to enhance and improve photography skills. 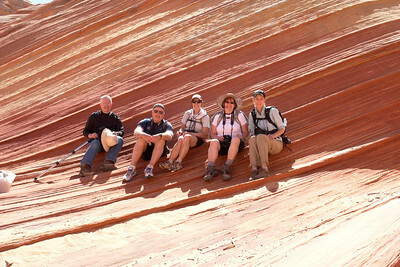 Lynn, Diane, Jack, Shannon, Debbie, Marlin, and Sally, you were an amazing and fun group. Now you have the task of editing all those images.... Have fun! Wave permits are restricted to 6 in any one group. We were fortunate to get a permit. 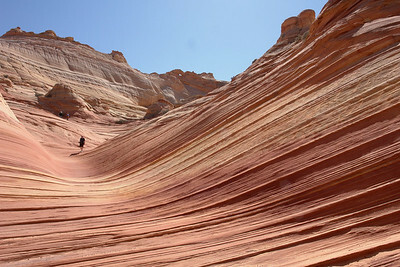 Two of the group went to Coyote Buttes South while the rest of us took in the fabulous Wave. 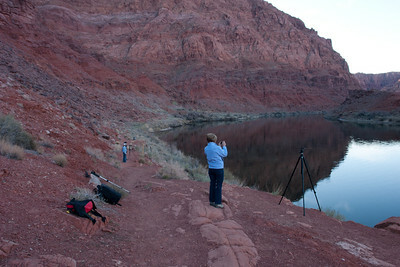 Sunrise photo session at Lee's Ferry, Arizona. Shannon, caught in that really small room called an outhouse... Who says my students don't have creativity? Photo by Diane Mills.